Are You Going to be at the Mercy of Big Vendors? Here's another option - become your own CPaaS provider and save up to 83% on operating costs. Contact us to learn more! When you look at customer experience, there's a white-hot spotlight put on apps. As companies look for ways to introduce apps into their business model, the pressure is put on telecom providers to integrate telephony with their customer's technology. Are you going to be stuck as a middle-man for a third party CPaaS vendor? Or will you add CPaaS to your own offerings? 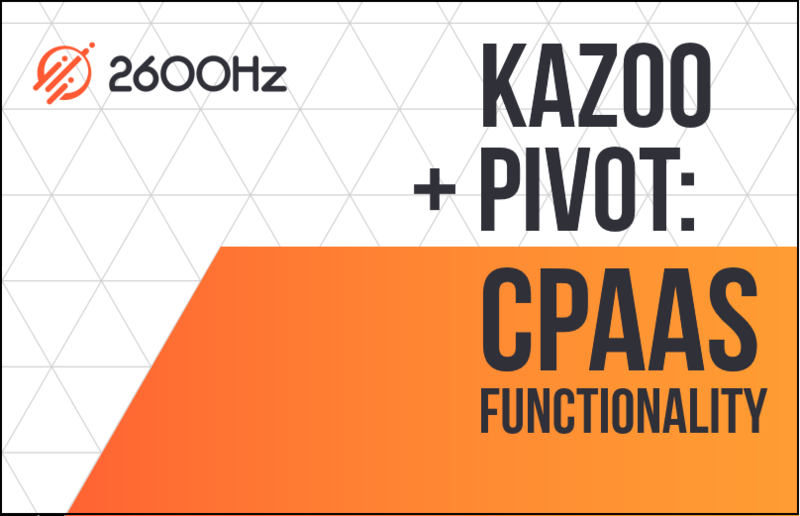 2600Hz resellers can pair KAZOO with the PIVOT app to enable CPaaS functionality for their platform. Combine that with the flexibility of bringing your own carrier to the table, and you could be looking at a platform where calling costs about 83% less than the current market leaders' platforms. And of course, it's all backed by the geo-redundant reliability and infinite scalability of KAZOO. To learn more about KAZOO and how you can become your own CPaaS, contact our sales team today.